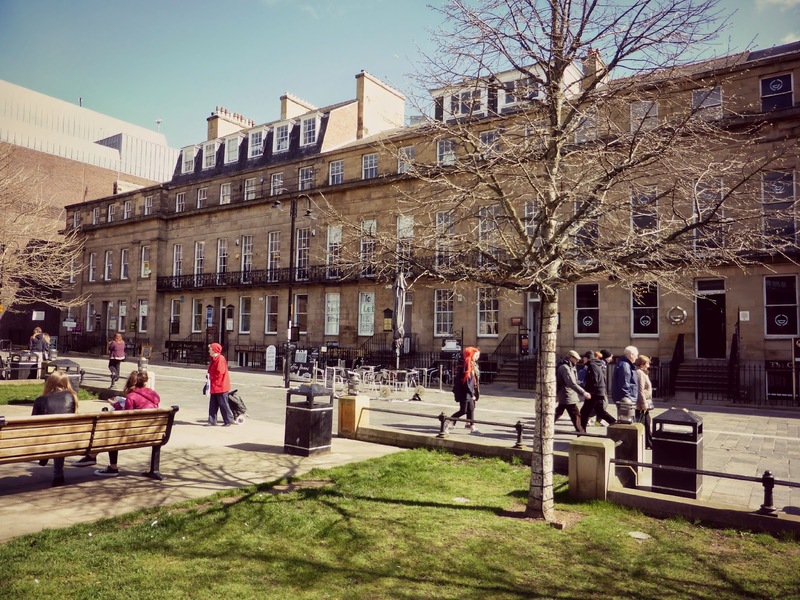 A few weeks ago I was exploring Newcastle looking for nice little independent tea shops when I found myself in Old Eldon Square, a beautiful green flanked by Georgian buildings just outside Eldon Square Shopping Centre. 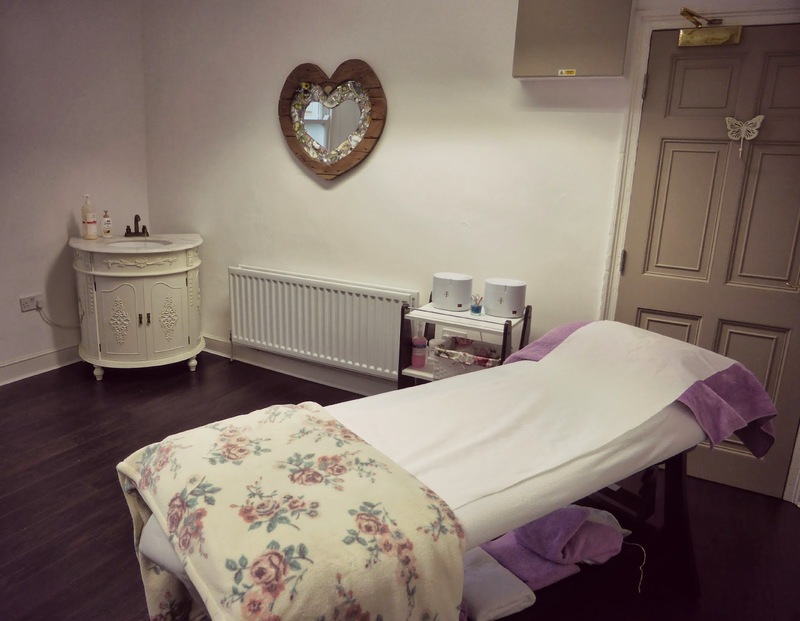 As I had a look along the row of lovely looking independent shops and cafes I noticed a sign for Violet Beauty and something about the design of it intrigued me to look at the website as soon as I got home. I loved the vintage inspired photographs on the website so immediately made a plan to visit when my friend Kate came to stay. 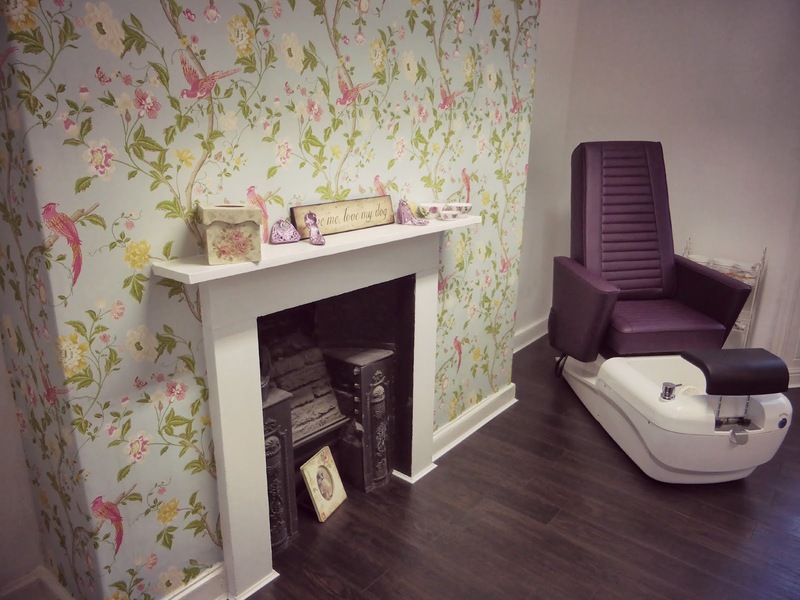 Violet Beauty Salon opened late last year and is named after the owner's late grandmother who inspired her to follow her dream of opening a salon. 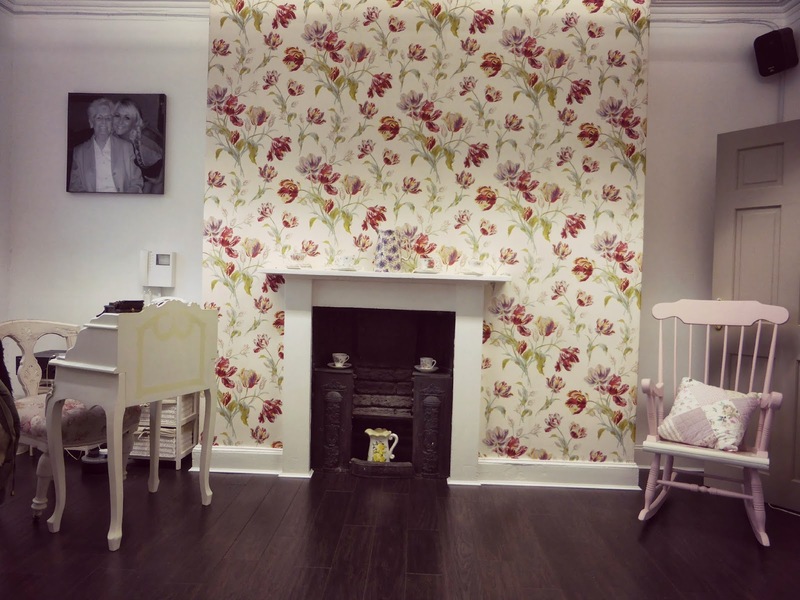 One of the first things you notice when you walk into the salon is a gorgeous canvas of Violet hanging on the wall. 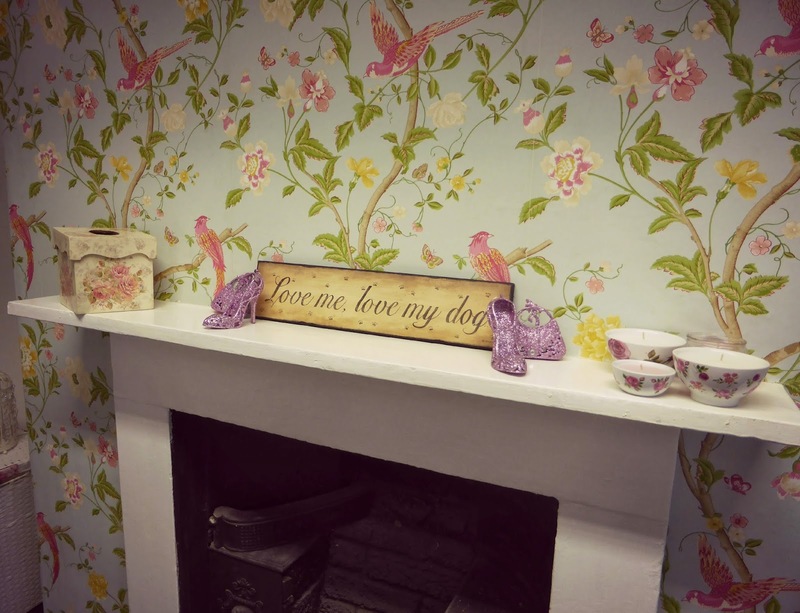 The Salon is so charming and cosy - the perfect place to head for a pamper session. 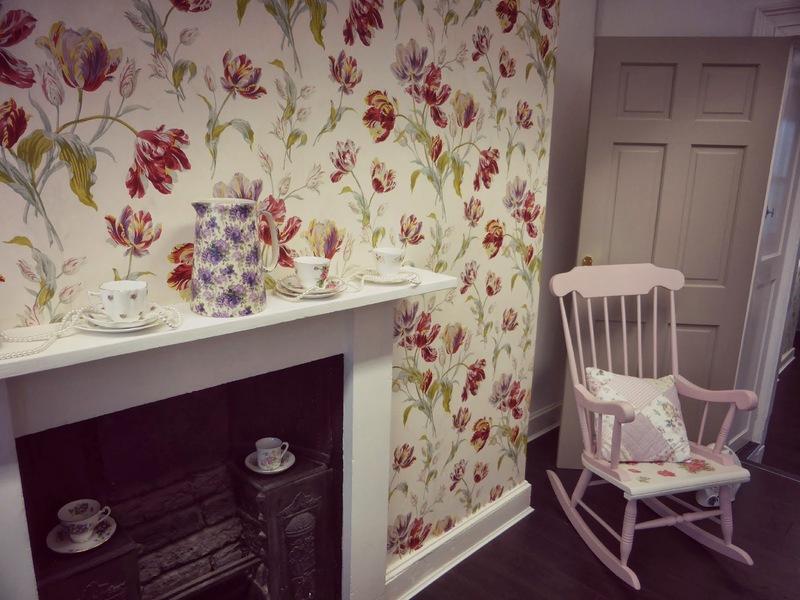 The interior is beautiful with dark wood floors, white shabby chic furniture, pretty wallpaper and lots of lovely little knick-knaks giving it a real vintage feel. My favourite piece was probably the rocking chair and if I could have taken it home with me I would have done. 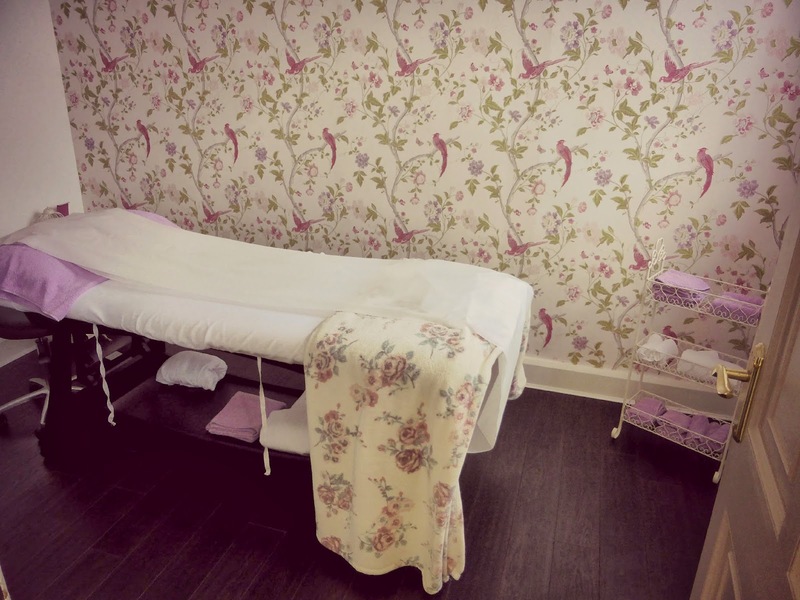 The salon consists of three rooms, the main reception area with two nail stations and then two private rooms for treatments. 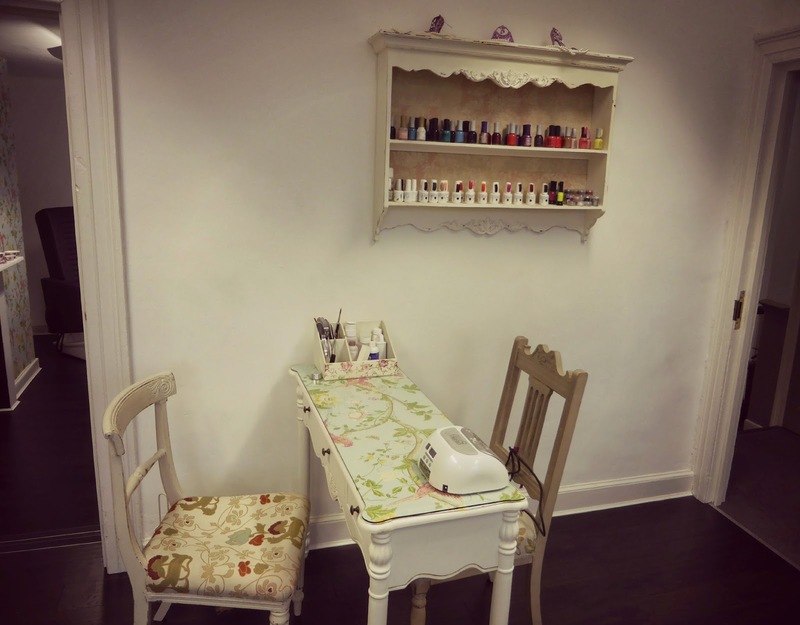 The space is small and has a really lovely warm and friendly atmosphere. Our beauty therapist for the morning was Georgia who instantly made us feel at home. She was really knowledgeable about the services the salon offered and was great fun to chat to. 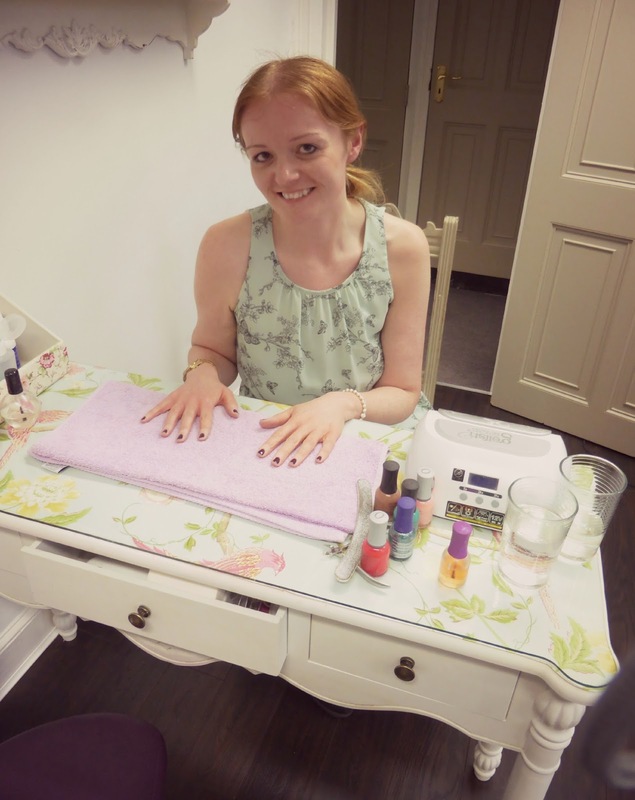 We had booked ourselves in for a mini manicure and polish each and had a lovely time picking from the great selection of colours on offer. Georgia was really patient at letting us try lots of colours before settling on one and even had the fantastic idea of letting us scrabble around in our bags to pay before beginning our treatment to prevent smudges. Kate decided on a combination of bright pink with a glittery pastel green whereas I picked a deep purple colour. 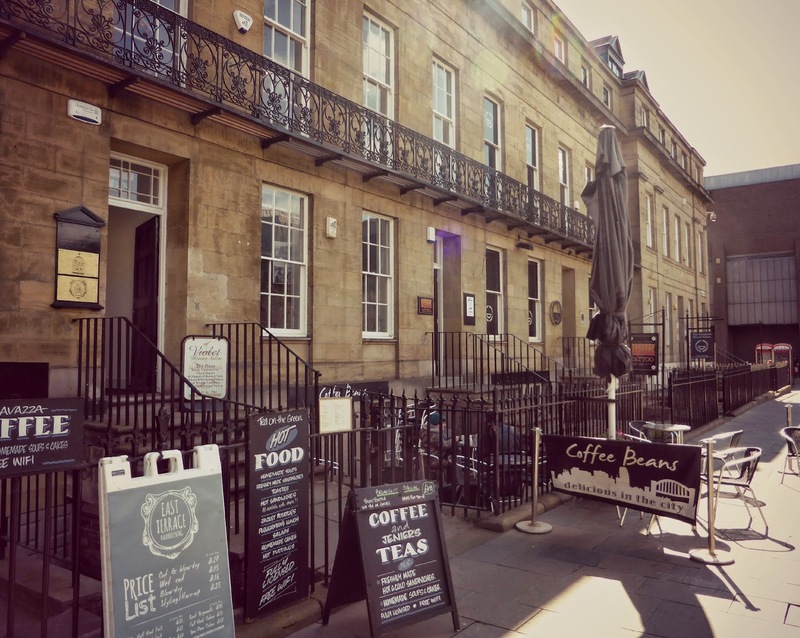 The salon offers a fantastic range of treatments including facials, manicures, pedicures and makeovers perfect for hitting the Toon on the weekend. It is also the only salon in Newcastle offering a full waxing service for men so ladies if your man is looking a little too hairy for your liking you know where to send him. I will definitely be heading back very soon, in fact I think I'm going to book myself a facial as soon as I'm done writing this and then after that I'm pretty curious to give some new lashes a go, I love the idea of having perfect lashes and not having to put on mascara every day. In fact I can see myself becoming quite the regular customer! So next time you fancy treating yourself to something special make sure you book an appointment at Violet and spend a wonderful few hours feeling truly pampered in gorgeous surroundings. It is gorgeous! So relaxing! 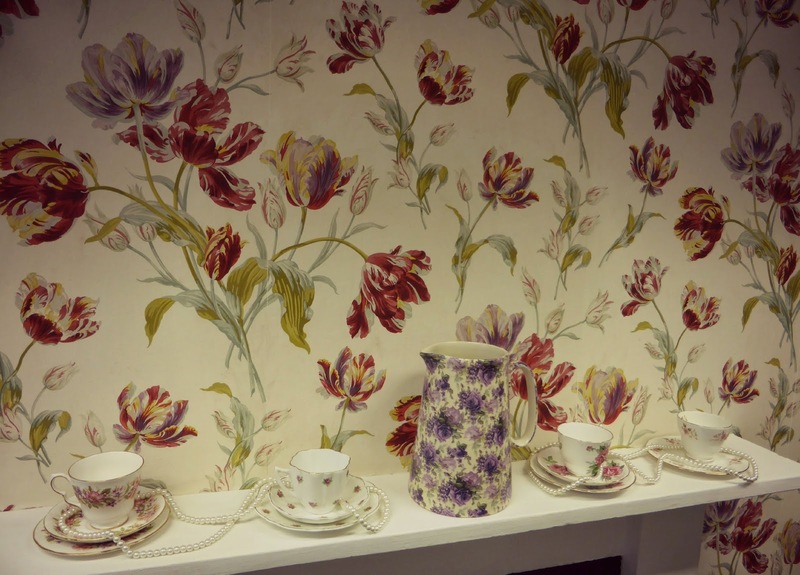 Me too, I'd love to have my house looking like this but I'm not sure my boyfriend would like it! What a gorgeous little place!! I love it when somewhere is really unique like this! Me too! So so happy I stumbled across it! This looks like someone's home - so lovely and cosy! I love getting my nails done too, but I never make time for it; maybe I'll have to now I've been reminded! I honestly did want to just put that rocking chair under my arm and walk out with it! It's so cute, although I loved everything in there! Oooh. I'll have to check their prices for facials my mam would love a pamper day! Ooh sounds good, your nails look gorgeous! 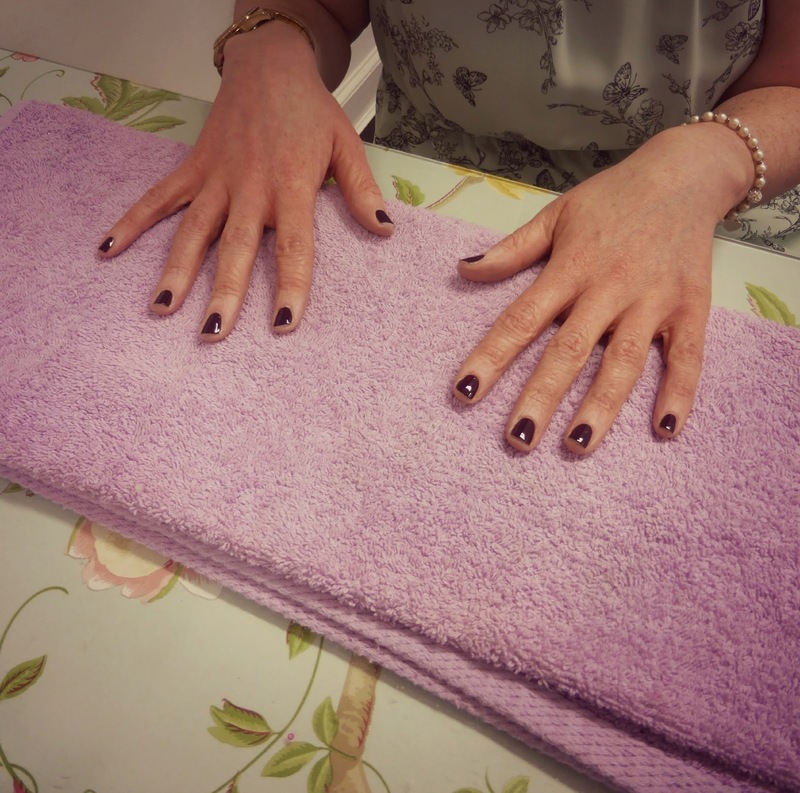 i'm a recent manicure convert- i love the hand massages! Me too! I'd have one every week if I could! It's a shame all the wicked places you post about are too far for me to visit regularly! I have actually read a lot of your blog posts in the last hour. I really enjoy what you are doing here. (And as a writer of fantasy novels, I'm enjoying looking at different aspects of that when you go through them in blog post). And truly, I love world-culture building. humancaremachines.